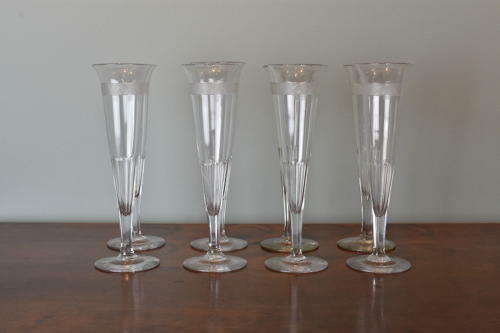 A late 19th century set of eight elegant champagne flutes with slice cut bases and facet stems. The glasses, with subtly everted tops, are ornamented with a decorative engraved band. French. Circa 1880.